This unit doesn’t get placed on the battle map during deployment. 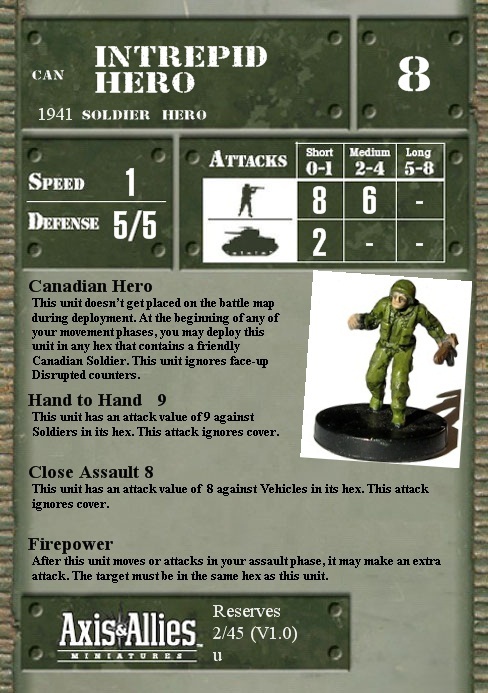 At the beginning of any of your movement phases, you may deploy this unit in any hex that contains a friendly Canadian Soldier. This unit ignores face-up Disrupted counters. This unit has an attack value of 9 against Soldiers in its hex. This attack ignores cover. After this unit moves or attacks in your assault phase, it may make an extra attack. The target must be in the same hex as this unit.